For many of us, summer is the time we redecorate our homes: we take advantage of the warm days to throw the kids outside and the ample sunshine to chose perfect color palettes. Now that the 4th of July is almost upon us, we all feel that read, white and blue sounds like a fun, summery scheme. Feel free to indulge your love for our grand ol’ flag’s colors with these great etsy products for your bed and bath. Anchors away! 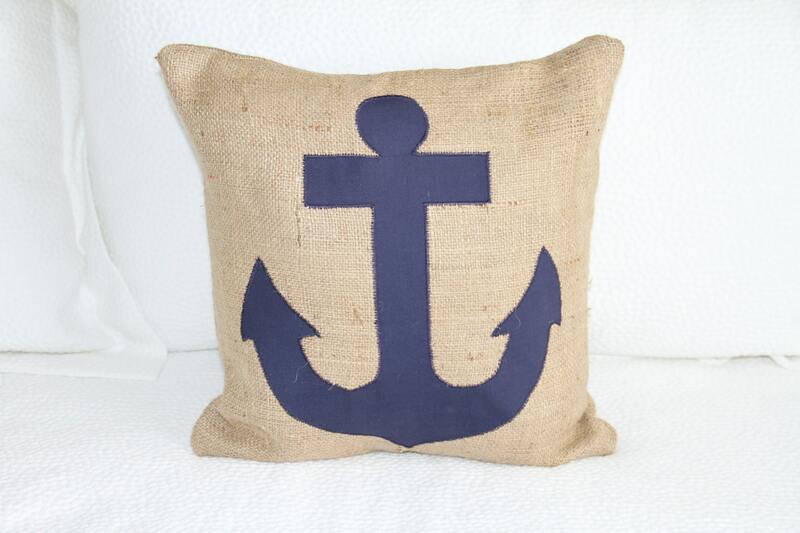 Sail off to dreamland comforted by a nautical decor accented by this vintage-style burlap pillow from Babeface: A Baby Boutique. 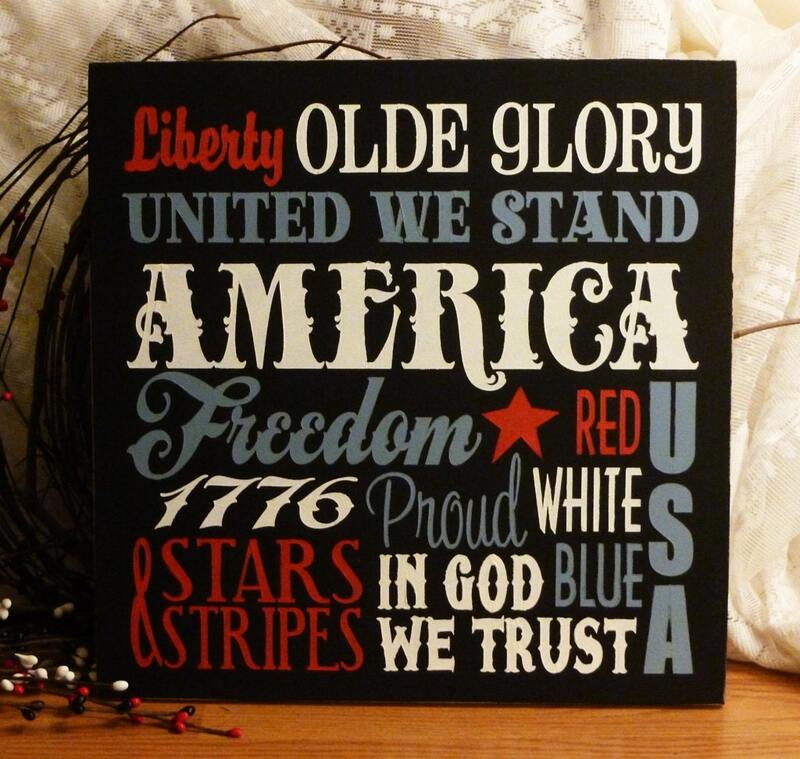 Typography is hot right now, so why not spruce up your rooms with some patriotic signage? This primitive-style wall art by 2 Chicks and a Basket is perfect for adding some festive flair to your 4th of July decor. 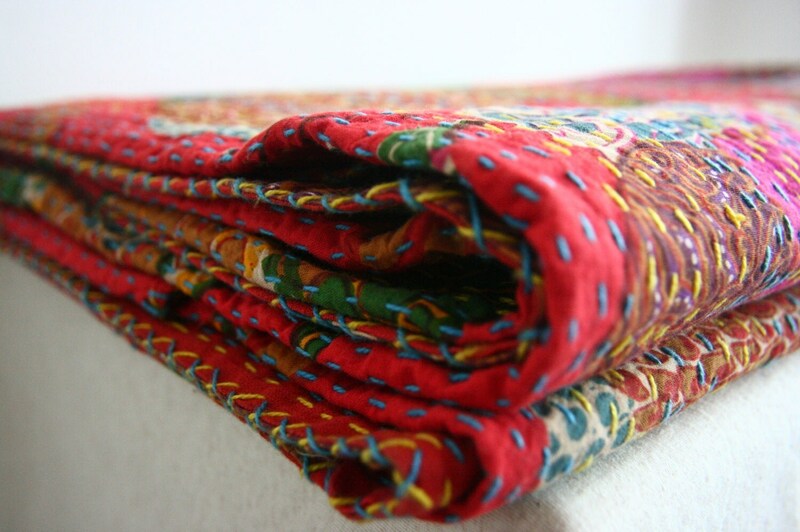 This hand-stitched blanket features only natural cotton and dyes so that, besides being beautiful, it’s suitable for the most sensitive of skins. 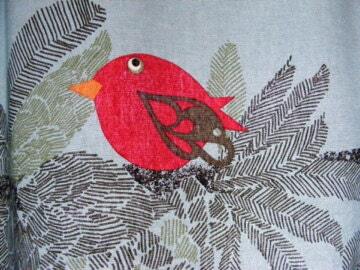 By Rose James, this piece is one-of-a-kind and will add personal flair to your bedroom. Luxurious Egyptian cotton? Feminine ruffles? Fabulous blue hues that melt from indigo to robin’s egg? 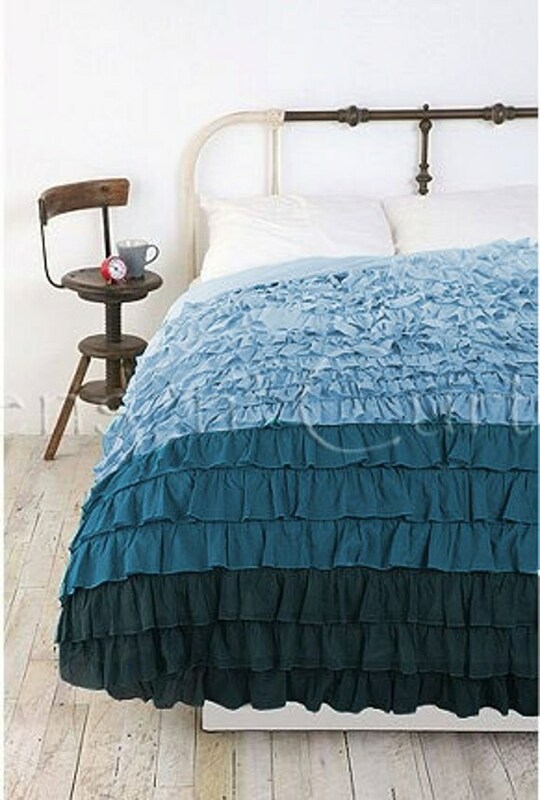 What’s not to love about this beautiful bedspread? Available in twin, double, queen and king and in a set with 2 pillow covers from Soft Linens. How about an instant bedroom makeover? Hang these light-filtering, fun-loving pale blue curtains in your bedroom; the happy red and blue songbirds birds are sure to make you smile. Purchase these dual-panel curtains or request a custom set from Charla Hall, who also makes adorable pillows and jewelry. 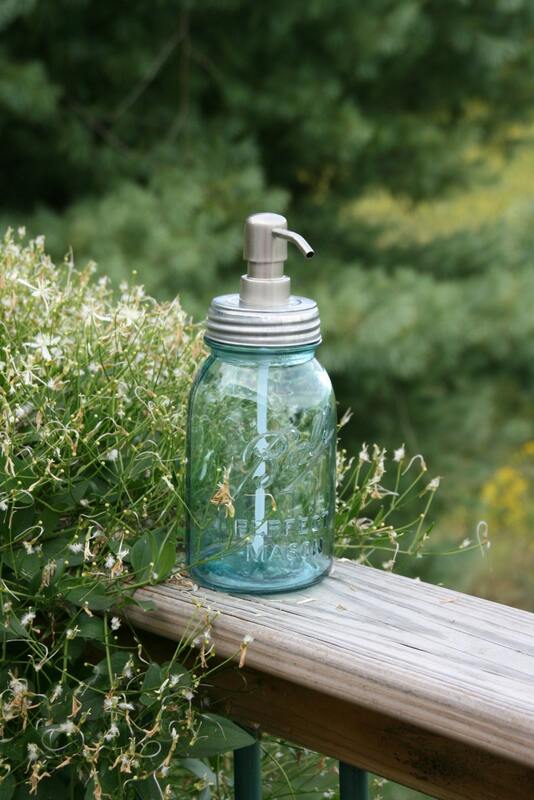 This quart-sized vintage blue ball jar from the 1930s has been repurposed as a soap or lotion dispenser–and it’s one of few left, as we vintage fans have been collecting blue ball jars by the thousands. To get yours, visit Industrial Rewind’s etsy shop. 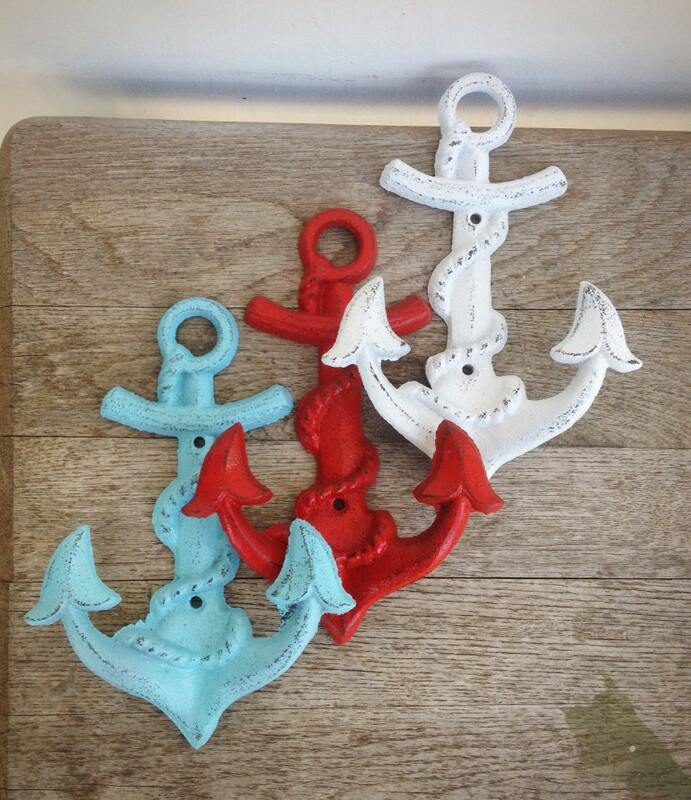 Hang your towels, coats and bags on these upcycled vintage red, white and blue anchor hooks from Bold House: Recycled Home Decor. 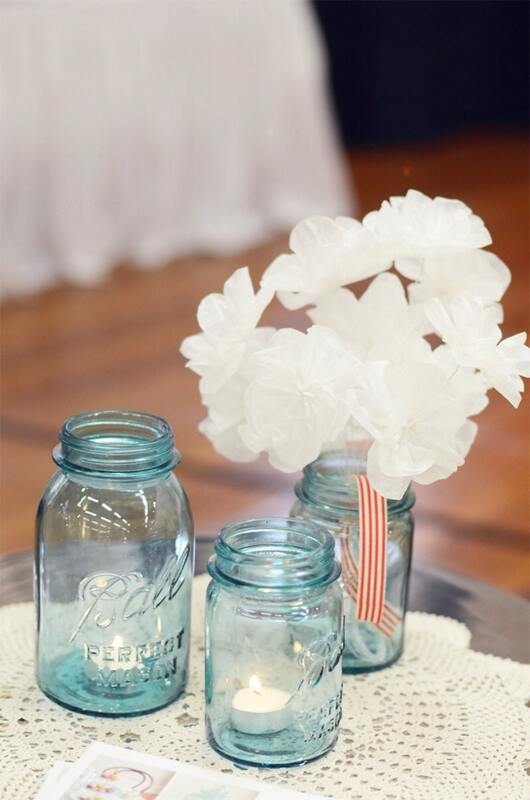 Everyone loves vintage mason jars, so why not incorporate them into your bedroom or bathroom decor? For a 4th of July feel, fill them with red buttons, beads, ribbons or flowers. Display with a vintage white doilie, and you’ve created a lovely vignette. Visit designsbyAmyLou.etsy.com to choose your jars. 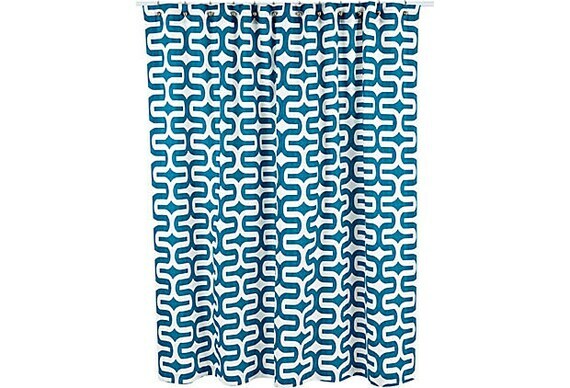 With its funky treillis print and teal hue, this shower curtain from Elisabeth Michael will infuse your bathroom with fun vintage flair for the Fourth. This entry was posted in Get the Look and tagged 4th of July, 4th of july bed and bath decor, 4th of july home decor, bathroom decor, bed and bath decor, bedroom decor, blue bathroom decor, blue bedroom decor, handmade bathroom decor, handmade bedroom decor, red bathroom decor, red bedroom decor, vintage bathroom decor, vintage bedroom decor by Bedrooms & Baths. Bookmark the permalink.